Mooted - Billesley - Blog View - Billesley Book Signing! 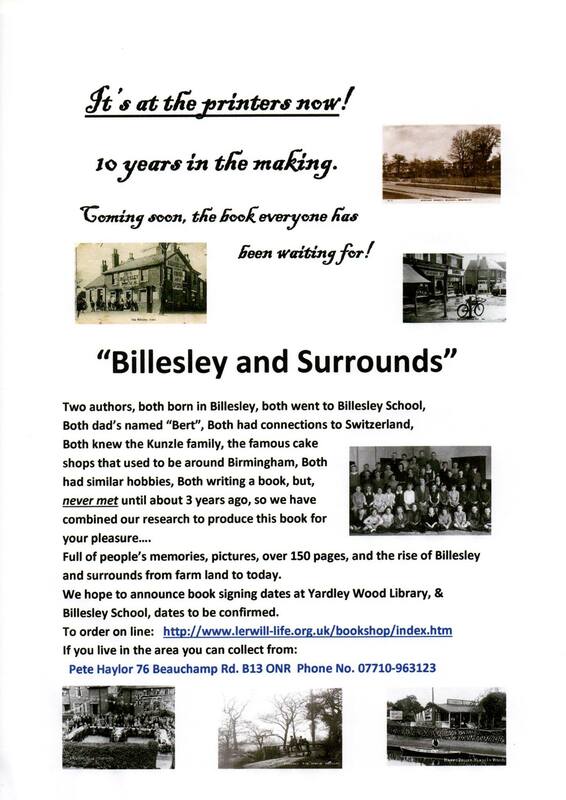 The long awaited "Billesley & Surrounds" book is due soon, a book signing event is to be held at the Library on the 8th of June between 10-00 till 12-00 , the book will be at the discounted price of 10-00 only at this book signing! Further book signing dates at Billesley School to be announced!